WILMINGTON – HealthFirst for Clinton County, a community foundation which awards grants worth thousands of dollars to community health-related projects, announced the organization’s next grant cycle. Clinton County-based 501(c)3 organizations, government entities, non-profit organizations, and otherwise tax-exempt groups that work to promote the good health of residents in Clinton County are eligible to apply. ​HealthFirst for Clinton County will accept grant applications until Thursday, April 25. The grant application and budget form have recently been updated and can be found on HealthFirst for Clinton County’s website. Applicants will also be required to submit a detailed one-page narrative with their completed applications. HealthFirst has recently restructured their grant process in order to award grants on a more scheduled basis and to encourage community organizations to develop new and innovative ideas. During HealthFirst’s first grant cycle of 2019, the organization is looking to award up to ten smaller projects between $5,000-$10,000 each. Later this year, the organization is looking to fund three larger projects with awards up to $25,000 each. The second grant cycle will have a specific focus which will be announced in the fall. An organization cannot apply for grant money in both grant cycles for the same project. During HealthFirst’s most recent grant cycle, the organization awarded over $60,000 to nine community organizations working on local health-related projects. These projects focus on many different public health issues including healthcare access, substance abuse, exercise and physical well-being, and diabetes. HealthFirst for Clinton County is a visionary organization and welcomes and funds innovative ideas, such as care delivery methods and services, or reimagined outreach methods for at-risk communities. Patient care support is often necessary in promoting the good health of community members, and HealthFirst supports medication assistance, free health and wellness screenings, vaccination initiatives, and other similar programs. Since December 2010, HealthFirst has awarded more than $1 million dollars to numerous community organizations. HealthFirst also operates the Patient Medication Assistance Program (PMAP) in a collaboration with the Clinton County Commissioners and the Clinton County Health District. PMAP helps area residents apply for free and/or reduced cost medications from major drug-makers. Please take a few minutes to give feedback to the Clinton County Regional Planning Commission. The Clinton County Transportation Needs Survey will be used to understand gaps and unmet transportation needs in the county and will be used to compose the 2019 Clinton County Transportation Plan. WILMINGTON– HealthFirst for Clinton County, a community foundation which awards grants worth thousands of dollars to local non-profits, announces the organization’s next grant cycle. 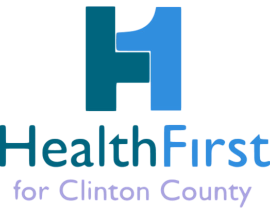 HealthFirst for Clinton County will accept grant applications until Monday, Oct. 22. The grant application can be found on HealthFirst for Clinton County’s website. Applicants will also be required to submit a detailed project budget and a one-page narrative with their completed applications. HealthFirst has recently restructured their grant process in order to award grants on a more scheduled basis and to encourage community organizations to develop new and innovative ideas. During HealthFirst’s most recent grant cycle, the organization awarded over $60,000 to 12 community organizations working on local health-related projects. These projects focus on many different public health issues including mental health, substance abuse, exercise and physical well-being, and diabetes. HealthFirst for Clinton County is a visionary organization and welcomes and funds innovative ideas, such as improvised care delivery methods and services, or reimagined outreach methods for at-risk communities. Patient care support is often necessary in promoting the good health of community members, and HealthFirst supports medication assistance, free health and wellness screenings, vaccination initiatives, and other similar programs. Since December 2010, HealthFirst has awarded more than $750,000 to numerous community organizations. HealthFirst also operates the Patient Medication Assistance Program (PMAP) in a collaboration with the Clinton County Commissioners and the Clinton County Health District. PMAP helps area residents apply for free and/or reduced cost medications from major drug-makers. WILMINGTON — HealthFirst for Clinton County recently awarded grant funds to 12 local organizations for health-related projects which promote the good health of residents in Clinton County through education, innovation, and patient care support. Organizations benefitting from HealthFirst’s May grant cycle include the Clinton County Diabetes and Community Wellness Program, Clinton County Trails Coalition, Clinton County Youth Council, Clinton-Massie Local School District, Energize Clinton County, Health Alliance of Clinton County, Little Hearts Big Smiles, Mental Health America, Ohio’s Community Care Hospice, Wilmington Parks and Recreation, Clinton County Common Pleas Court, and the Clinton County Sheriff’s Office. In 2018, HealthFirst for Clinton County restructured its grant process in order to award grants on a more scheduled basis. “HealthFirst has made the change to engage in focused, directed funding in an organized and systematic process,” chairperson Pat King said of the changes. Eric Guindon, Executive Director of the Clinton County Youth Council, will be using grant monies for the organization’s Bike Share Clinton County project. The goal of the project is to increase access to transportation and exercise by providing bicycles and educational opportunities to Clinton County youth and community members. HealthFirst funds will help provide 20 bicycles to at-risk youth in grades 6-12 attending CCYC programming and 15 bicycles and a docking station for use at Clinton County Homeless Shelter for residents to use to attend job interviews. Funds will also help establish a bicycle maintenance/work station at the youth center, where educational workshops and clinics on bicycle maintenance and safety can be hosted. The Clinton County Diabetes and Community Wellness program provides important public health information to the community about the risk of diabetes and encourages the adoption of healthful behaviors and practices. Laura Knisley, the coordinator of the program, works with organizations such as the Clinton County Family and Children First Council and the Clinton County Health District to provide prediabetes awareness and screening throughout the county. Participants in the program receive an A1C blood test, diabetes risk evaluation, blood pressure screening, and education. HealthFirst for Clinton County will be offering its next grant cycle in December 2018, with more details to be announced at a later time. WILMINGTON, Ohio—April 22, 2015—HealthFirst for Clinton County recently awarded $88,000 in grants to Clinton County organizations for projects and initiatives that promote the health and well-being of the area.